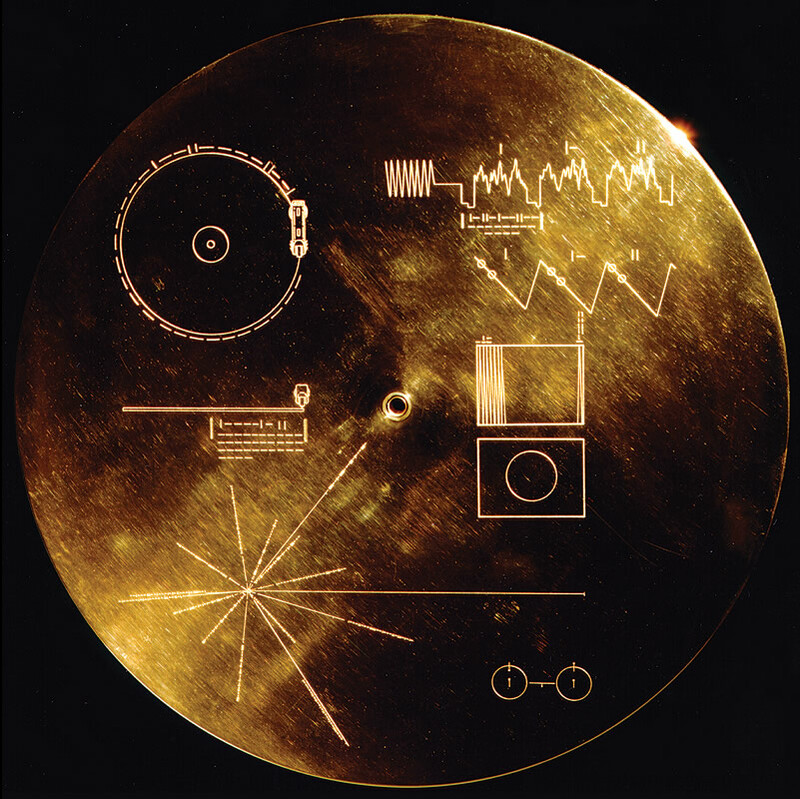 On the golden record that accompanies the Voyager spacecraft, there is a map showing the location of Earth. It’s not a road map that you might pull out when navigating a city, but a 3D map showing the location of a star, the Sun, in a populous galaxy. But just how would this map work? And more importantly, what are the map markers? If you notice the lines at the bottom left of the golden record image, they all intersect at a common center point. This is the Sun, and the lines extend out showing relative distances to the nearest 14 pulsars. A pulsar is the leftover remains of an exploded massive star, the core of a former supernova explosion, compressed down to neutrons. As this core compresses and shrinks, conservation of angular momentum causes it to spin rapidly, in some cases several times each second. For an object the size of a large city, this is incredibly fast, and results in a huge output of energy along the axes of rotation, meaning the pulsars can be seen across the galaxy. The key though is that the pulsars keep time incredibly well. Their rotation is remarkably consistent, rivaling atomic clocks in terms of precision. The lines on the map that bridge the Sun and each pulsar have dashes and line breaks that reveal their frequency. By observing the pulsars and measuring their frequencies, another civilization could match the pulsar timing to the map and determine the location of the Earth. As our technology evolves, pulsar mapping doesn’t just help alien civilizations find us, it can be useful to our civilization as well. In a demonstration last November, 52 X-ray telescopes and silicon-drift detectors that make up NASA’s Neutron-star Interior Composition Explorer, or NICER, mapped the timing and locations of four pulsars with incredibly fast rotation times, known as millisecond pulsars. The data allowed the washing-machine-sized NICER to determine it’s position as it orbited the Earth aboard the International Space Station at over 28,000 Km/h. The precision was to within 16 Km, which sounds like a lot, but for a spacecraft moving that quickly it’s not bad. This could be used by deep space craft to navigate, as the positions don’t need to be extremely precise when working at the scale of the solar system and beyond. More importantly, the navigation could be on-board and autonomous, meaning Earth-bound scientists wouldn’t need to keep checking in on the craft as often. There’s still a lot of development needed before the system is added to a spacecraft, but it’s a neat possibility that has now been tested live. The pulsars aren’t going anywhere, so we might as well use them to our advantage.